Competitive interest rates with other lenders such as banks and credit unions. Completion of the entire deal at one place – car shopping, vehicle selection, financing, drive away with pre-owned car. A dealer is able to shop your credit profile to multiple lenders in order to gain the lowest interest rate for you. Whereas a bank offers a fixed interest rate, dealerships have the option to negotiate with a potential buyer. Flexibility is available in all aspects of purchase from dealer. 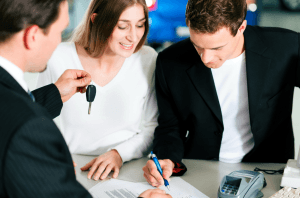 There are typically so many used car dealerships within a small radius that it is a good idea to obtain recommendations from friends and utilize their auto-buying experience as a basis for your own and to weed out less desirable dealerships. Choosing from trucks, cars, mini-vans and one owner SUVs for sale can be quite a rewarding task when you have the right dealer. 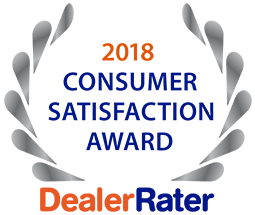 For the best pre-owned vehicle selection, competitive car loans in O’Fallon and knowledgeable staff to guide you through the entire purchasing process, visit 5 Star Auto Plaza. We are proud to be the area’s number one choice for used auto buying. Call us today at (636)940-7600 to find out what we can do for you.